The paintings will be compiled and published as a book, too! When we think of the Chinese zodiac, we usually only think of them as mere animals. 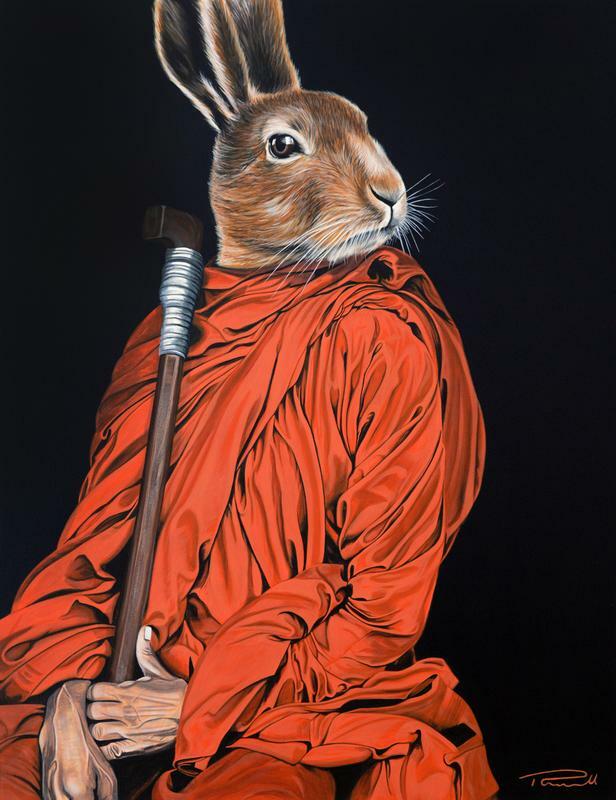 This Penang-based British artist, however, views them in an entirely different light. 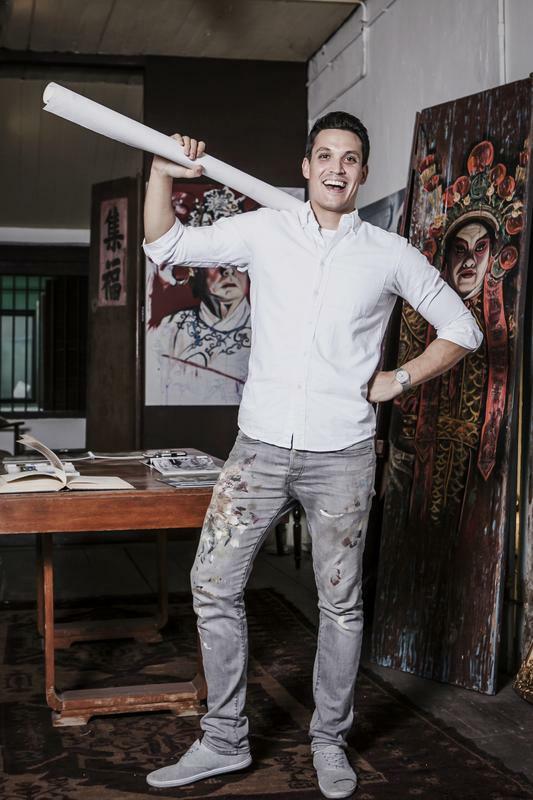 Thomas Powell told SAYS, "I got the idea during a project for Macalister Mansion. 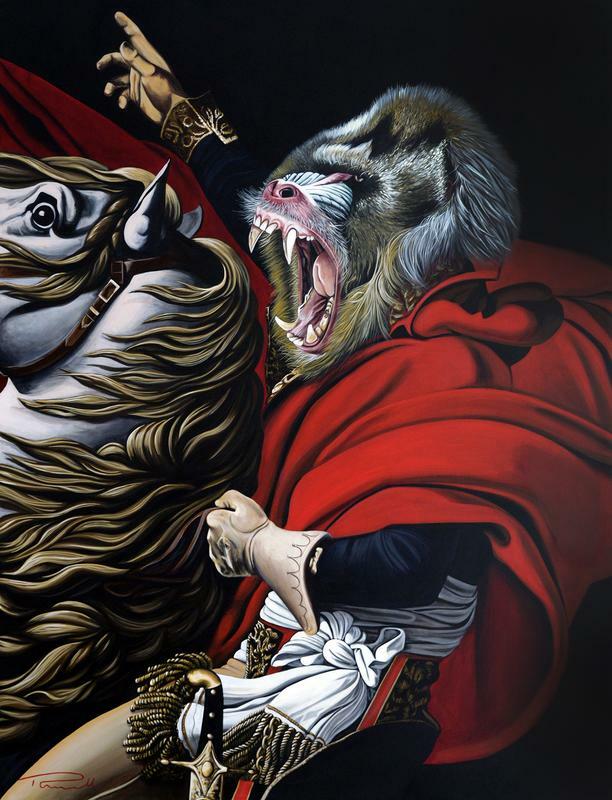 At that time (this was in 2014), I was painting a pair of deer-headed pieces when it hit me." "Because all the 12 animals of the Chinese zodiac are meant to represent people, why not draw an animal head on a human body, symbolising what the creature represents? It enables viewers to recognise their own zodiac animal and explore what [it] means to them." 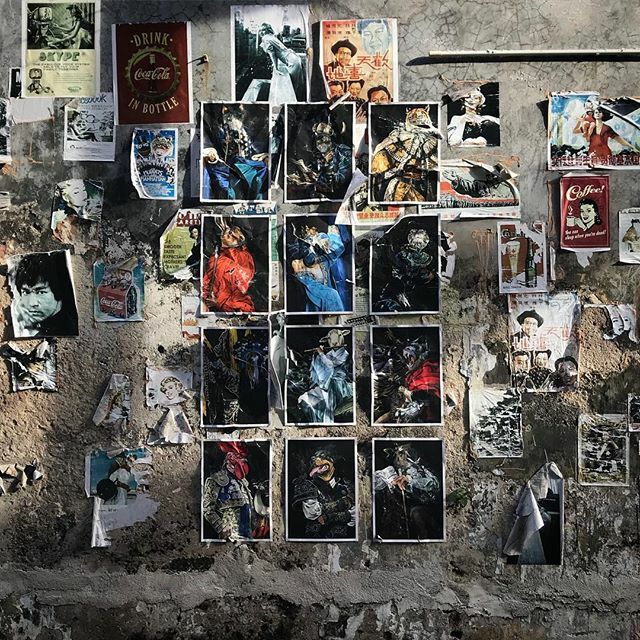 The entire series was first exhibited in Macalister Mansion during the 2014 George Town Festival. By the end of the exhibition, all the paintings were sold. "I used books and online sources for the background information regarding the characteristics of the animals (or rather the characteristics that people born in that year are meant to have)," he said. "The sources I found were not always consistent, so I chose characteristics that overlapped with multiple sources and inspired me [which] made it easier to select a body for the visual representation of any given characteristic." 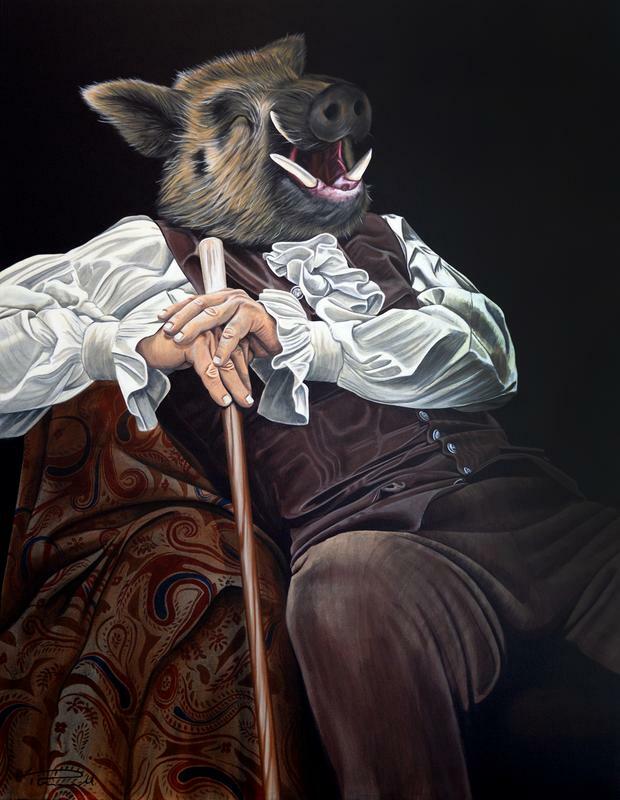 "Pigs love pleasure [and] tend to be a bit self-indulgent, but they do have big hearts and care about other people," Powell explained the reasoning behind the 'wealthy, old aristocrat' body. "They are very forgiving and always seek a quiet and peaceful life even to the point of being withdrawn from the mainstream, preferring instead to stay at home and indulge themselves." 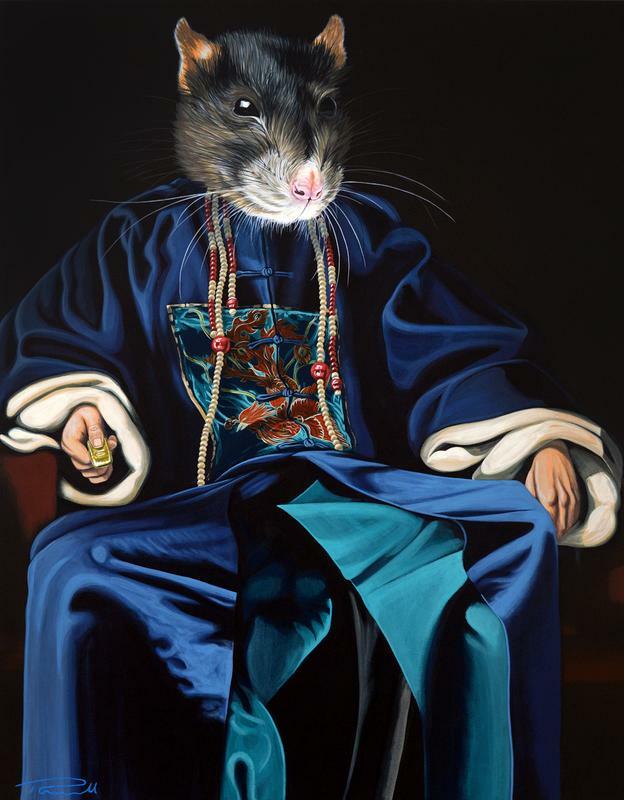 Powell gave the rat a "merchant body" because "they provide very well for their family, they love to haggle for bargains, and genuinely adore collecting money". 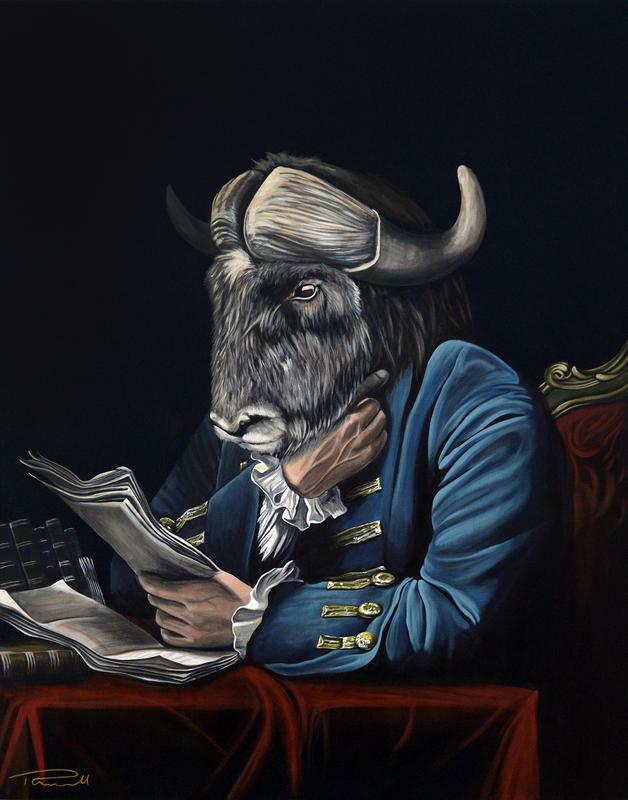 The ox was given a political leader's body because it is believed the animal is a "patient, kind person who takes responsibilities seriously, who derives a lot of pleasure from doing things the right way – actually their own way". 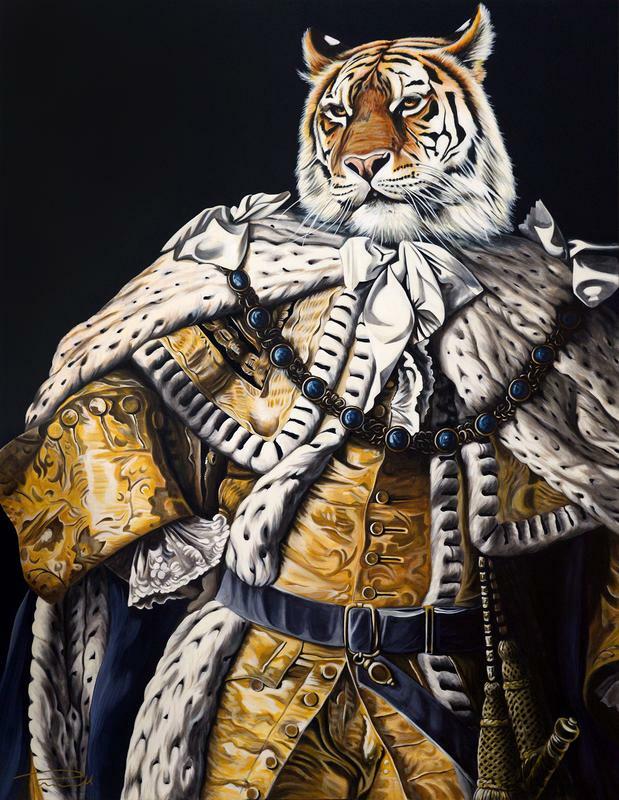 Tigers are "rash, impulsive, and dynamic; invariably charming and persuasive", which is why Powell gave it a king's body. "The reason they are born leaders is not that they have any natural leading abilities, it's just that they can talk anyone into following them – no matter how ill-advised the project may be," Powell explained to SAYS. Rabbits are believed to be "intuitive, psychic, sensitive, creative" and caring towards others. "They are lone souls who deeply feel the pain of the world and often try hard to put it all right. Invariably calm and moderate, quiet and refined﻿", which is why Powell gave it the body of a monk. "Big, bright, and bold, the dragon is life's good luck symbol," said Powell in explaining the dancer's body. 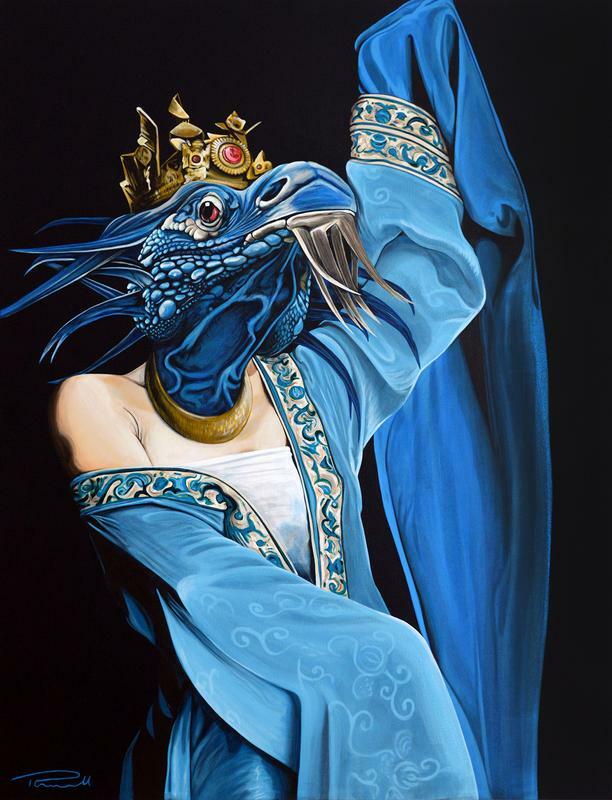 "Dragons are glorious and mythical, confident and glamorous. Dragons are usually extremely energetic, full of life, and fun. 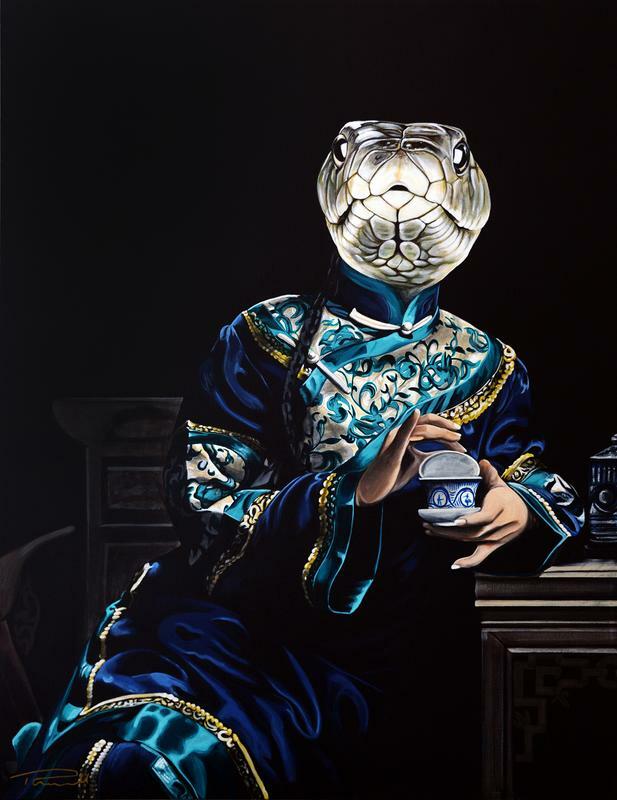 They like to be surrounded by friends and admirers, sycophants and lovers.﻿"
Snakes are given a "stylish tea drinker body" because they are mysterious, clever, shrewd, and sensual. 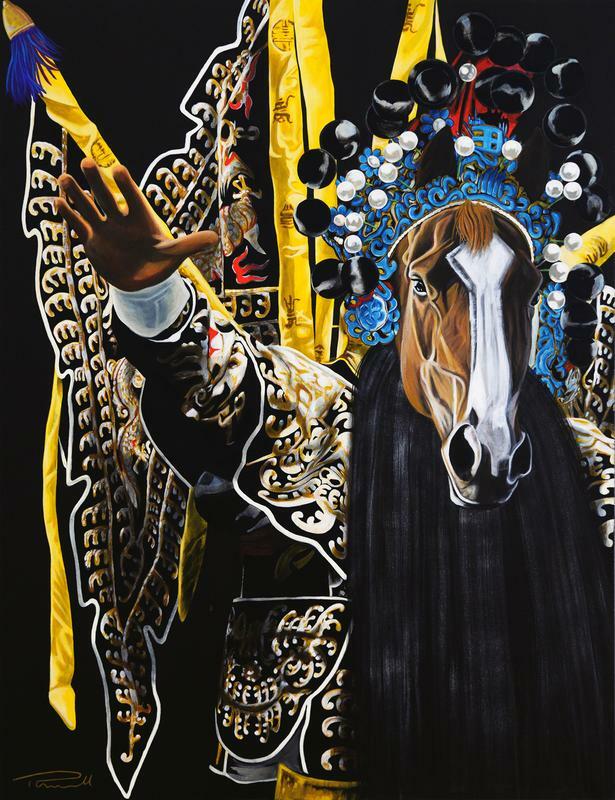 "They are indulgent and sophisticated, and move with ease and grace – languid and very stylish.﻿"
The Chinese Opera body signifies that those born in the year of the horse are people who are fine "as long as they're having fun and in the limelight". "Friendly and communicative, horses are great givers, and incurable gossips and talkers﻿," Powell explained. "Goats don't fret about the past and they don't worry about the future," said Powell to SAYS. 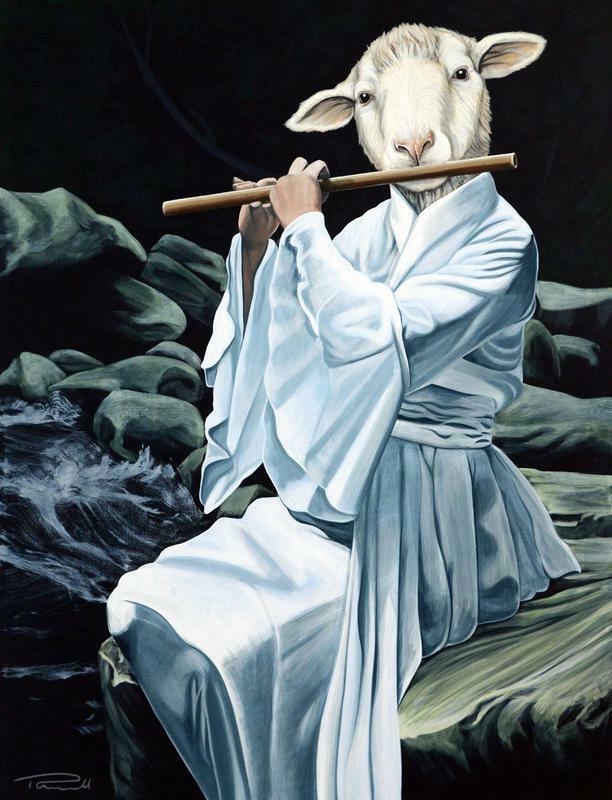 With the body of a musician seated by the stream, it signifies that those born in the year of the sheep are "relaxed, happy-go-lucky creatures who like to enjoy what they have now rather than strive for what might be". "Inquisitive, bright, energetic, and highly competitive," Powell explained, "The monkey is the liveliest of the animal signs – full of new ideas, and always scheming, mainly to get its own way." "They make fine leaders﻿," he added, which is why he gave the monkey the body of Napolean. 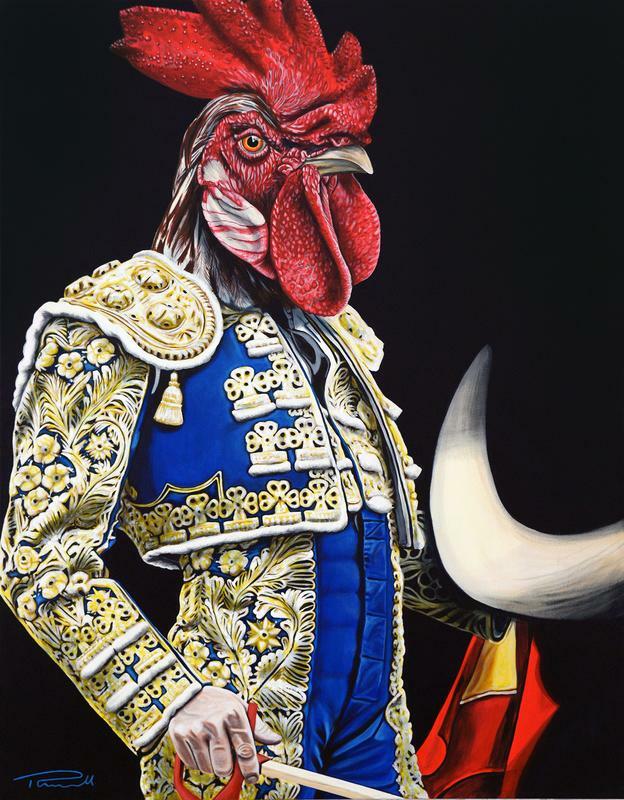 Much like an actual matador, those born in the year of the rooster "like to show off". "They are flamboyant, colourful people with outgoing personalities, and a friendly way about them. They are good communicators and enthusiastic," said Powell. "Very entertaining as they are never still or quiet, but most of their stories will be about them and their prowess in whatever activity they excel at." 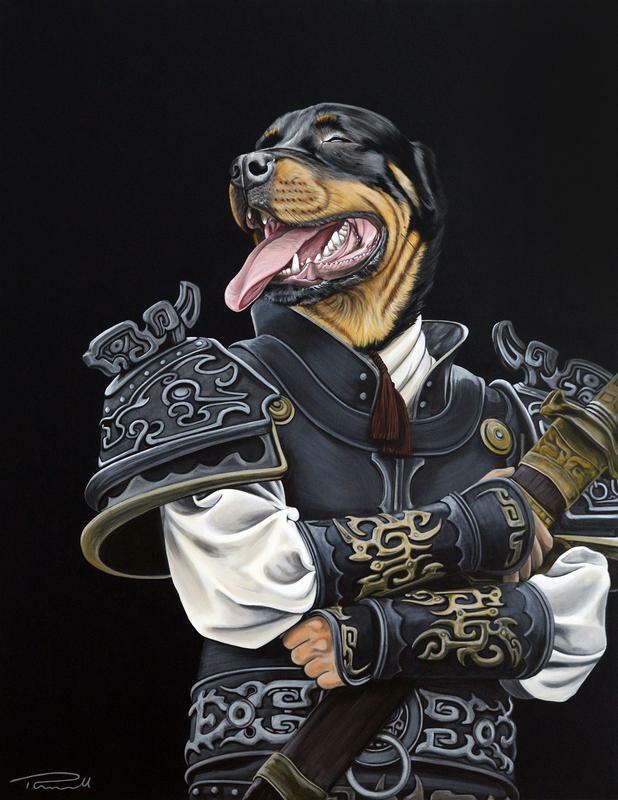 On giving the dog the body of an ancient Chinese soldier, Powell said it is because dogs are the "friendliest and kindest". "Dogs are here to serve us all and love being of use. They understand loyalty and faithfulness in ways others could only dream of. Firm, dutiful, noble beast indeed – and so are these people. Dog people are unselfish and moral; honest, trustworthy and tolerant." The "Drippin' Dragon" mural depicts a dragon-headed General Guan Yu riding a horse on the wall of the Drippin' Dragon Hostel on Jalan Hutton, Penang. The building was a former hospice that homed terminally-ill patients in their last days, so the mural was drawn to change the feng shui of the lodging. Other murals can be found here. What's next for the artist? Powell told SAYS that his Chinese Zodiac series will be compiled and released in book form. "A local publisher has contacted me to do a book compilation of the Chinese Zodiac, which I am excited to work on. It will be a complete collection of the series," Powell said. "12 animals, 12 years, 12 unique characters, and several thousand years of antiquity – all in one book. I'm excited about that!" 'Chinese Zodiac And More' will be published at RM39.90 by Flatplan Publisher. It can already be pre-ordered here.